Everything about Passengers should work. It’s director Morten Tyldum’s follow-up to his Oscar-nominated The Imitation Game. It’s written by Prometheus screenwriter Jon Spaihts, hot on the heels of him having rewritten the script for Doctor Strange. Most impressively, it stars possibly the two most charming actors working today, Chris Pratt and Jennifer Lawrence. Having respectively cut their sci-fi teeth already on Guardians of the Galaxy and the Hunger Games series, they seem like a dream screen match. The trailers sure make it look that way. Thirty minutes into Passengers, though, you may find yourself asking where one half of that couple is, as Jennifer Lawrence is still nowhere to be seen. 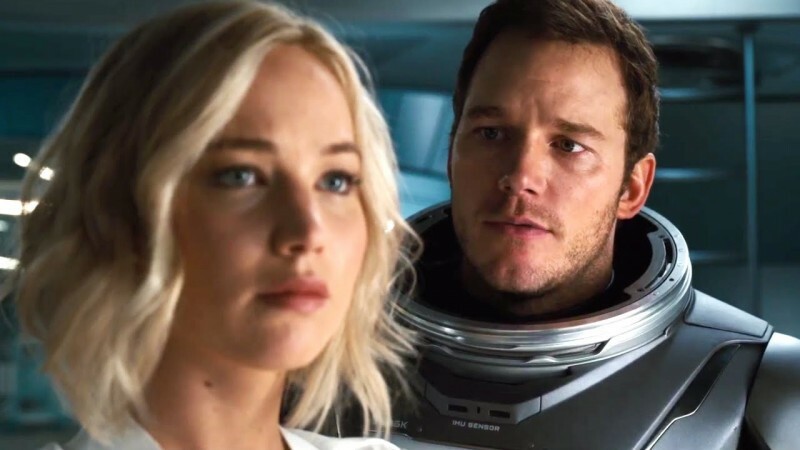 Despite the space-bound romance the marketing has made the movie appear to be, Passengers is primarily the story of Pratt’s character, mechanic Jim Preston. 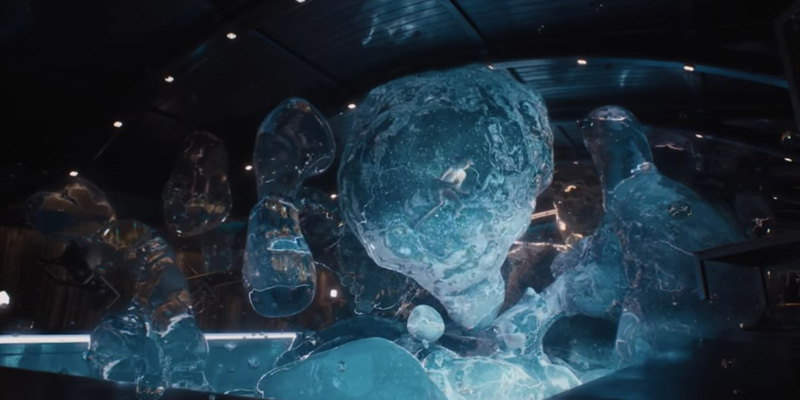 All the action of Passengers takes place aboard the starship Avalon, which houses five-thousand colonists travelling from Earth to the planetary settlement of Homestead II on a 120-year journey. Everyone on board is spending the trip in hibernation, including Jim. Then, 30 years into the trip, his hibernation pod malfunctions and wakes him up. Like The Last Man on Earth transplanted into space, Jim spends his time trying to keep from slowly going crazy. He sends a message to Earth for help, before being informed a reply will take 55 years. 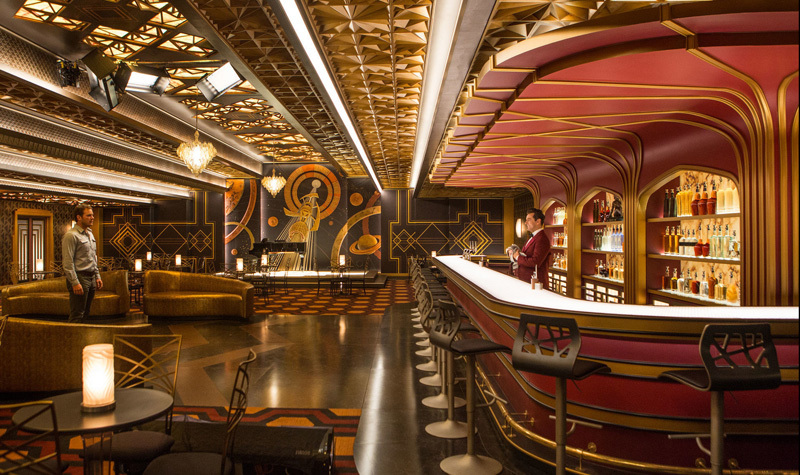 He converses with the ship’s android bartender, Arthur (Michael Sheen). He goes through several montages’ worth of comical activities. After a year by himself, ready to end things, Jim happens to spot the hibernation pod of a writer, Aurora Lane (Lawrence). He becomes obsessed with her, watching her home movies and wishing she were there to love and to keep him company. When he can take no more of his infatuation and the grip it has on him, Jim sabotages Aurora’s hibernation pod so that it wakes her up too, dooming her to die awake on the ship like him and robbing her of the life she would have lived. Far more sociopathic, though, is that Jim tricks Aurora into falling in love with him as the two humans whose pods woke them up in a fatal limbo. He shows remorse to Arthur over a whiskey glass, but otherwise hides the truth from Aurora about his action, all the while winning her heart with deceit. 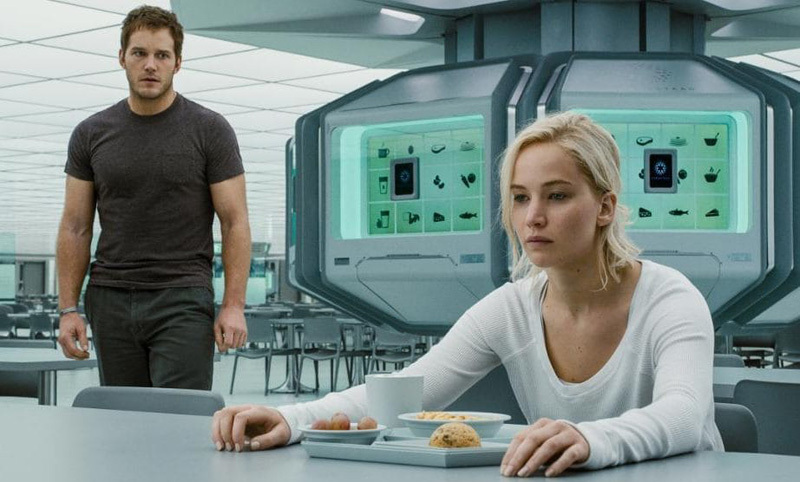 Remember the whimsical space-romance advertised in Passengers‘ trailers? 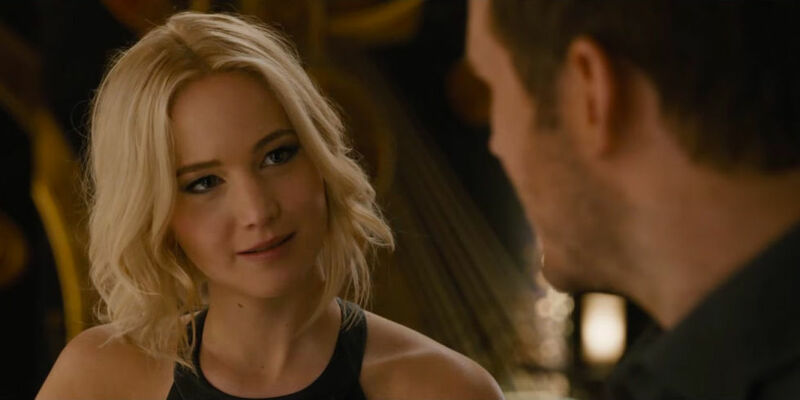 Now picture it all again, knowing that Pratt’s character has actually been awake for a year and is lying to Lawrence’s about why she woke up so that she’ll fall in love with him. Feel icky about that idea? Imagine another hour and a half of it. Tyldum and Spaihts have gotten a lot of grief already because of the gross feeling the film left many with, but the greatest science-fiction does make you consider larger issues, including what you might do in extreme circumstances; in all fairness to Passengers, it does an admirable job of it, up until That Awful Moment. As the movie goes along, it also cares less and less about exploring the situation objectively, instead wanting you to root for these two lovebirds, which is when the movie really starts to tear at the seams. In the final third of the movie, things get so unsettling that even Pratt’s amiable charm and goofiness can’t save Jim from coming off as the most duplicitously “romantic” creep since Chris Pine and Tom Hardy in This Means War. Lawrence does a good job with her role, but can walk through a performance like this in her sleep; she did more heavy lifting in any given Hunger Games movie and doesn’t do much to elevate her character above that of a Stockholm Syndrome victim. Pratt fares far worse, losing much of the good will he built up between Guardians of the Galaxy and Jurassic World. He’ll get it back next year with Guardians of the Galaxy, Vol. 2, but until then, all the bad taste of the movie lingers with him. In a horror movie about a stalker on a spaceship, his performance would have fit right in; with how psychologically abusive and manipulative his “hero” is, it’s downright disturbing. The most infuriating part of it all is that Spaihts’ script and its treatment of the characters and their situation are really the only major problems with the movie. Tyldum’s directing is stunning, with some of the most gorgeous cinematography of any sci-fi picture this year. The music is haunting, the CGI impressive, and even the set design walks a skilful line between innovation and homage. But that one despicable foundation for the characters’ story in the first act nearly destroys Passengers from the inside out. By the insultingly dumb and preposterous final scenes of the film, your throat and eyes will be sore from groaning and rolling them so much. Unlike Lawrence’s character, though, at least you have the freedom to escape after a couple of hours.